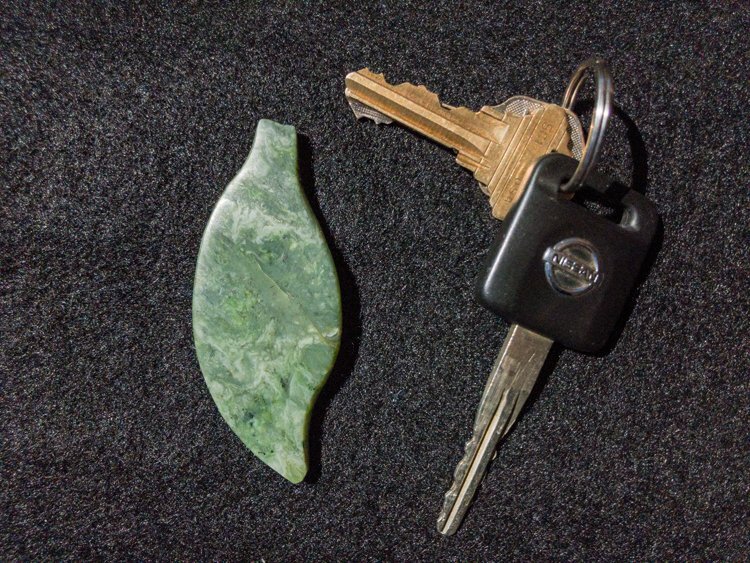 Some may remember that I took a jade carving class sometime back. That class resulted in my first rock carving, pictured here. We were asked to carve our idea of a leaf. 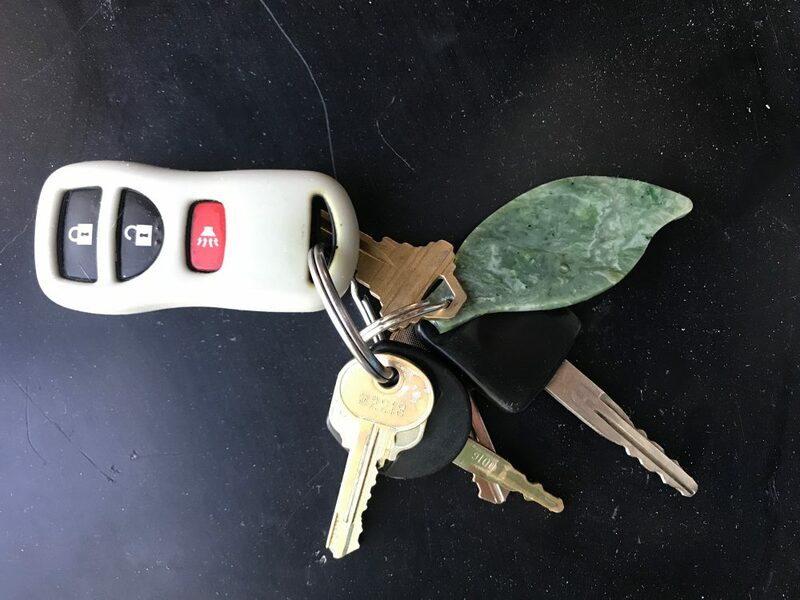 I meant it to be a key fob. Now, thanks to the talented lapidary artist and jeweler Jason Fabbi, my piece has indeed become one. 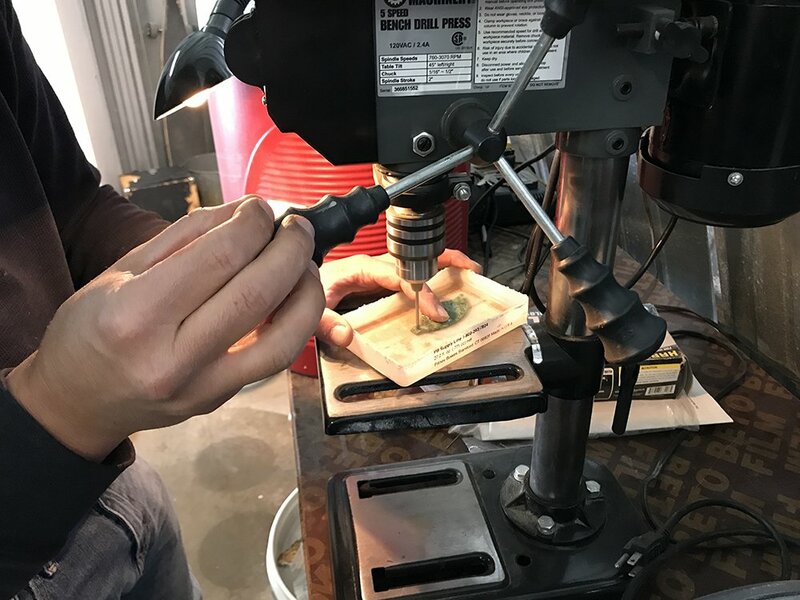 Jason drilled a neat hole at the top of the carving with a drill press using a special bit and plenty of water. Unlike wood, drilling stone requires patience, as the bit must be inserted slowly, operated for a while, then backed out. The procedure repeats itself until the work is done. Thanks, Jason! I have also commissioned Jason to do a one-of-a-kind piece for me. It will be a bolo tie with the center stone made from gold in quartz that I found years ago. More on that in future posts.